Sarah Aronson has an MFA in Writing for Children and Young Adults at Vermont College. 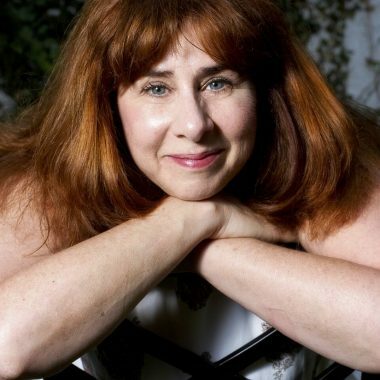 She is the author of several YA novels, as well as a chapter-book series and a non-fiction biography. I joined a writing group and found out — writing IS hard. I stepped back and began reading, reading, reading. I attended SCBWI events. I took an online course in writing for kids and submitted manuscripts that now would make me cringe. Later, I earned an MFA from Vermont College. Now I teach a class on writers.com. I speak at some of those conferences. But I’m still learning. I no longer ask how hard can it be! THE SCARLET LETTER and THE PEARL left big impressions on me. I wanted to be Harriet the Spy. The bathroom scene in BLUBBER still makes me cringe. And I had nightmares about Nancy from OLIVER TWIST. The book that made me want to write children’s books is Robert Cormier’s THE RAG AND BONE SHOP. That ending haunts me. HEAD CASE is my version of THE SCARLET LETTER. Frank commits the crime his society cannot forgive. Like Hester Prynne, he must find a way to forgive himself. I wrote the first draft in free verse poetry! Luckily, I had good friends who advised me to revise. After many drafts, I found the ending. (No spoilers here.) Let’s just say: I need to see story on the page before I can begin to re-imagine it. I thought about what I wanted and needed in an agent. Then I did my research. I asked trusted friends. When I could, I listened to agents at conferences. When I met Sarah, we clicked. I am very grateful that she could see the possibilities in my writing. I am a big believer in balance. Work out first. Then breakfast, email, and assorted procrastination. Then I write until lunch. If I’m teaching, I will spend the afternoon reading manuscripts. If not, I may return to writing, but only if I’m on a serious roll. Usually, I take the afternoon to walk or relax or read. I would say I clean the house, but my husband has evidence to the contrary. 1 - Say it out loud: I am a writer. The world needs stories. You are one of the very brave people who is willing to share yours with others. The trick is: finding the best way to tell your story. This process takes time and patience. It takes hard work. By recognizing out loud that you are a writer, you give yourself validation that you are doing important, honorable work. 2 - Read! Read a lot! Read in your genre. Read outside your genre. Read for kids and grown-ups. Read the newspaper. Read plays. Read poetry. Every time you read something you love, study it. Figure out what makes it work. Analyze the power of the right word in the right place. Keep an annotated bibliography. Understand what makes a book work for the kinds of readers you want to write for. 3 - Banish Self Doubt! Ask questions of the text, the characters, and their motivation, but do not question your intent or abilities. Sit down in the chair and write. Good or bad — this is the job of the writer. It is a skill and a gift and a process. Your goal is to get a little bit done each day. 4 - Keep a writing journal. Although each book offers its own ups and downs, by keeping a journal you will become aware of your own needs as you learn to write. For example: I know that I get my best ideas walking first thing in the morning. . . without my ipod. And that I always have a ‘crisis of story’ at about page 70. I have learned that I need to keep a notebook of interesting observations — or else I forget what they are! Looking back through my journals, I can see that I have grown as a writer. I still try everything, but I no longer obsess over a new beginning. And I like revising a whole lot more than I used to. 4 - Join the conversation. Share your work with friends. Read and critique their manuscripts. Discuss books! Trust your writing friends. They are people who will tell you when your story works and when it doesn’t. They are the friends who will help you when you are lost or struggling. My writing friends read everything I write, provide support, and make me laugh just when I need to most. Discuss the process of writing with these trusted friends. They will give you the courage to be daring, to make mistakes, and to show and not tell. They will call you back when all you want to know is whether you should change the POV or the tense or if you have this nagging feeling that the character is a boy and not a girl. They will understand why those questions are important. Are you looking for a great class? Check out writers.com. Or are you ready to take the next step and get an MFA? Check out my discussion: Are you ready for the MFA on my website. 6 - Seek your own truths in story. It doesn’t matter whether you are the kind of writer who imagines plot or character first. At some point, you need to decide why you want to tell this story. Why does it matter to you? Keep searching. What is it about the story or character or plot that comes from your emotional core? In other words: you must know who are you in this book. Be brave. Do not stop digging until you uncover the truth. When you write about your fears and pains and wants — when you reveal your truest self in story — your character will be more authentic; your plot points will feel inevitable and surprising. Write a first chapter? Celebrate! Get to 100 pages? Celebrate! Send out your work? Receive a nice rejection? Receive a form letter rejection? Reward yourself every time you take a chance, and every time you meet your goals. This business is about making mistakes. It is all about ‘do-overs’. You need to write the wrong thing to figure out what the right thing is. So don’t save your big celebration for a launch party. When you learn something new, pat yourself on the back! You are on the journey. You are writing. You are a writer! White space. I need it as a reader. I use it as a writer. Thinking about writing from a director’s point of view. When I hold the camera, I am in control. I can better see the world I am creating. Pages 110-111 in John Gardner’s THE ART OF FICTION are pasted on my wall. The notion of psychic distance — the craft of understanding how to move the authorial camera — changed my entire approach to narrative. Try anything! I never discard advice. I always try. I would like to make my spicy seafood soup for Robert Cormier, Thomas Hardy, Nancy Werlin, Nathaniel Hawthorne, Tolstoy, Michael Chabon, and Tanya Lee Stone - not just because she is a great writer, but she is also my dearest friend and would have my head if I didn’t include her. A more comforting bowl of ribbolita for E B White, Charles Dickens, Judy Blume, Emily Bronte. . . and Tanya. I wish I had invented Heathcliff. Or maybe I’m glad I didn’t. If I had, he might have ended up with some sort of physical disability.